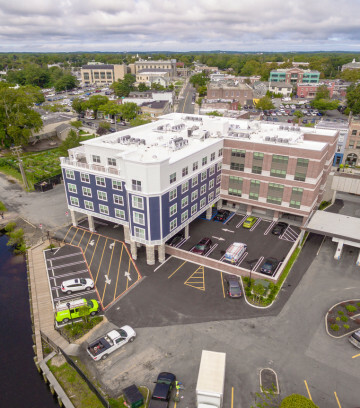 The Peconic Crossing project redeveloped a blighted existing commercial site located on Main Street, creating 45 affordable energy-efficient apartments. 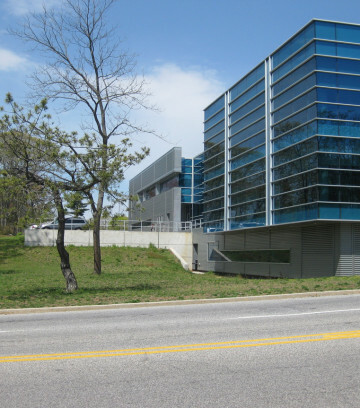 Suffolk County Police Department - 4th Precinct Building site & civil design. 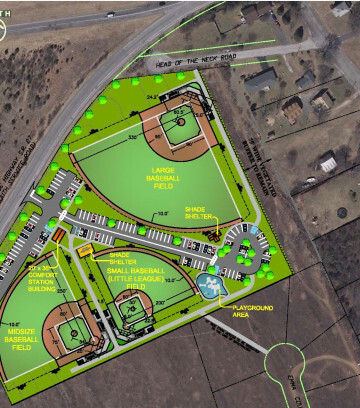 Athletic complex design of three fields and amenities for the Town of Brookhaven. 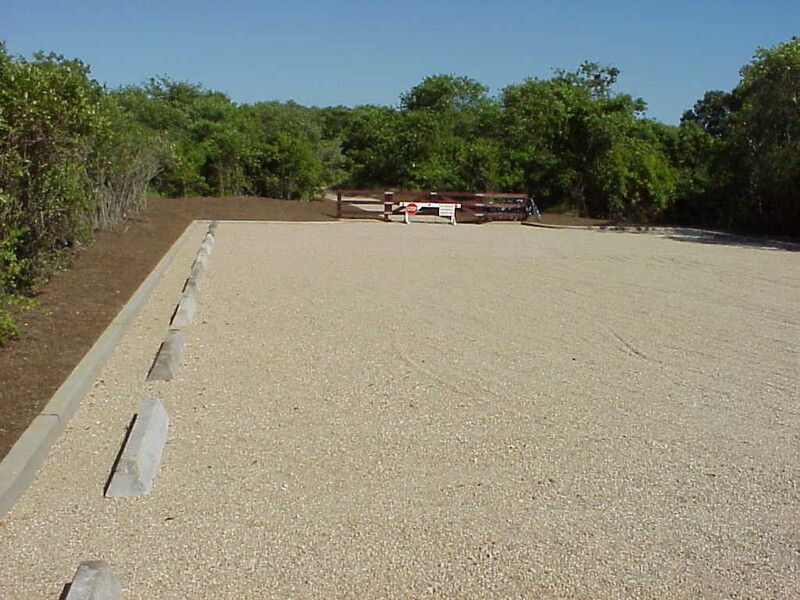 Design and permitting of new exterior site improvements to the existing grounds of the recreational facility in Moriches. 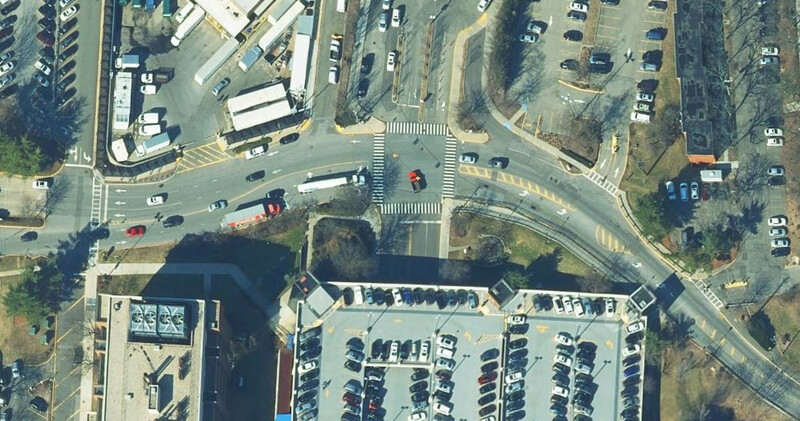 Conducted traffic and parking study including survey and mapping of overall roadway network and access points to North Shore Hospital's flagship location on Community Drive. Developed and evaluated alternate improvement plans using AutoCAD including construction of new access roads, a pedestrian bridge from the visitor parking garage to the main hospital entrance, and installation of a traffic signal on site with coordination to the traffic signal at the major access drive to Community Drive. Developed plans, specifications and estimates for traffic signal and color-coded destination signing. 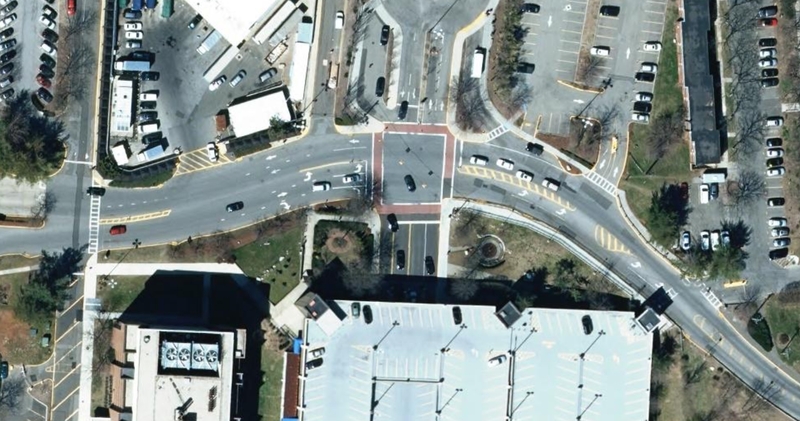 The before and after aerial photographs indicate the interior intersection where a traffic signal was installed to provide for the safe and orderly flow of vehicular and pedestrian traffic. This innovative alternative developed by LKMA alleviated the need for security personnel to direct traffic where several hundred pedestrians crossed during peak hours. 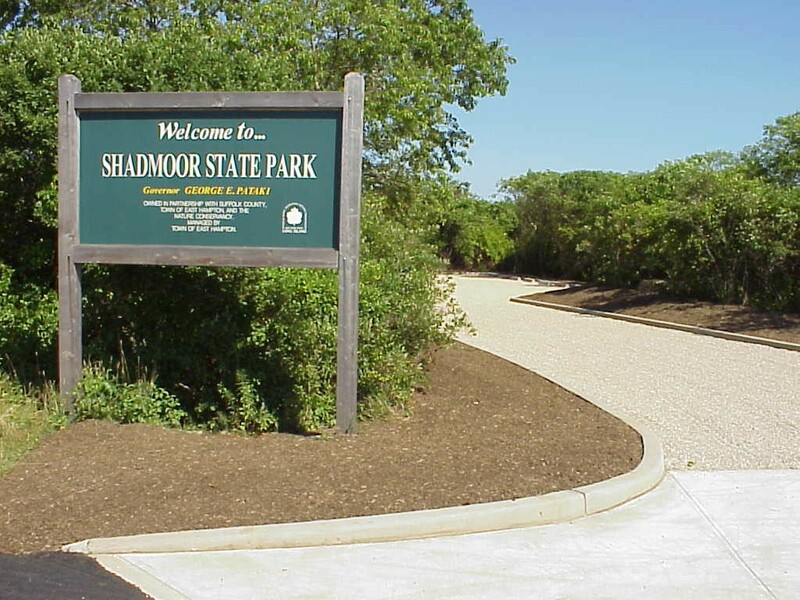 This project entailed development of a 20-stall parking field for access to the Shadmoor State Park, a 99 acre environmentally and historically important nature conserve and ocean beach park operated by the Town of East Hampton and the Nature Conservancy. The project involved development of design plans, preparation of permits and performance of construction monitoring for site preparation, concrete curbing, asphalt restoration and concrete apron at road entrance, “Gravelpave” parking surface (a geosynthetic porous gravel paving system), double gated timber fence at trail head, landscaped perimeter, anchored wheel-stops, and maintenance and protection of traffic. 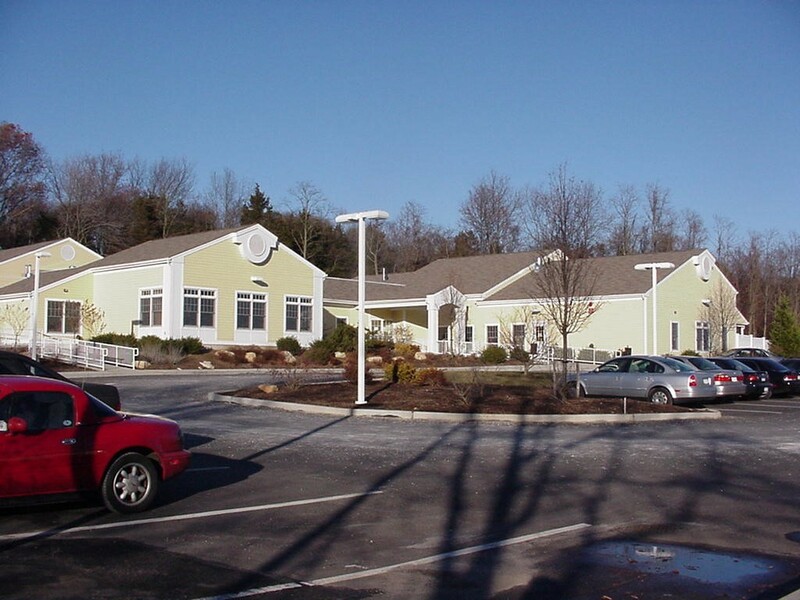 The project scope of work included the planning, design and surveying for creation of a new signalized intersection and access roadway to a newly constructed child care center on University property. Topographical surveying of a portion of the 13-acre site and intersection location was conducted. 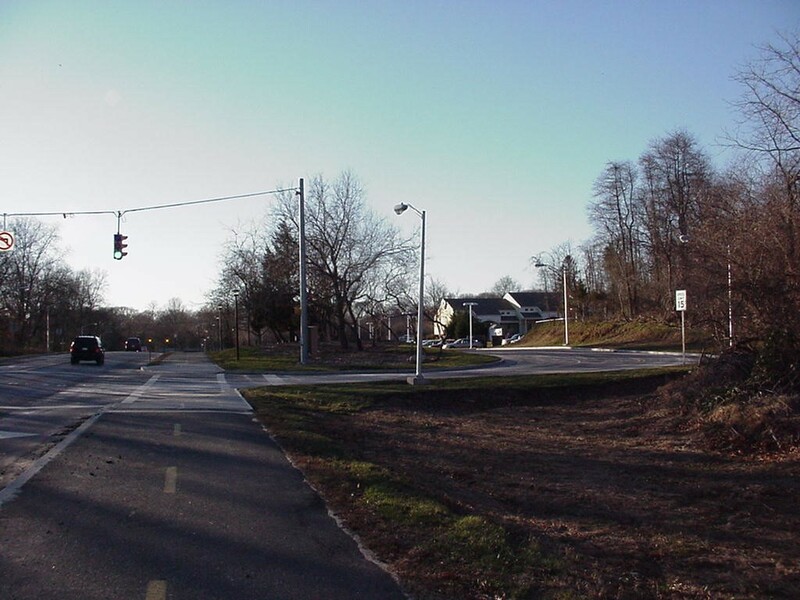 Design of the signalized intersection was conducted for all four approaches and included a new interconnected vehicle-responsive traffic signal, roadway turn lanes, and inductance loops. The new 275’ access roadway was designed in accordance with University standards and was coordinated with the needs of the facility. All drawings were produced in AutoCAD in accordance with SUNY standards. 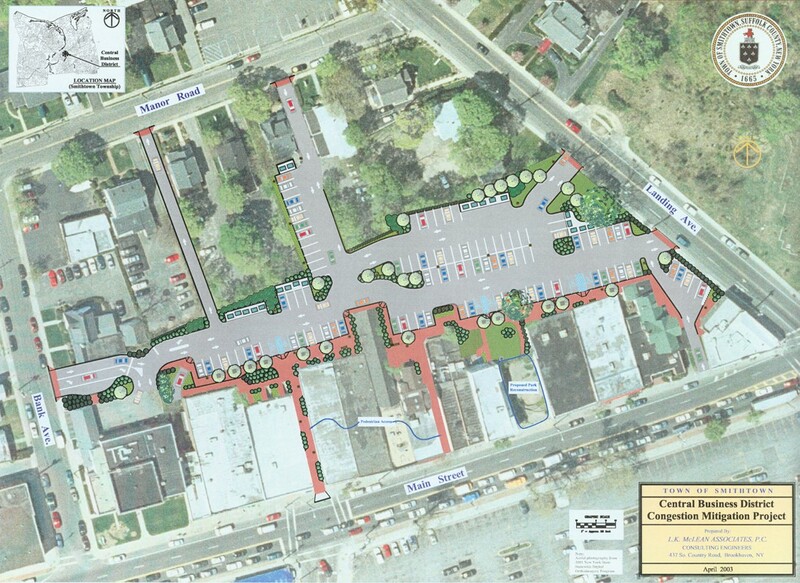 LKMA provided design and construction monitoring services for this phased planning and development project to increase available parking in the Town’s Central Business District. The project converted space that was under utilized and unattractive into an aesthetically pleasing parking area with expanded usage (110 stalls), a vest-pocket park, lighting and improved traffic flow. Project elements included conceptual planning, site design, topographic survey, property line determination and extensive sanitary systems investigation and redesign. 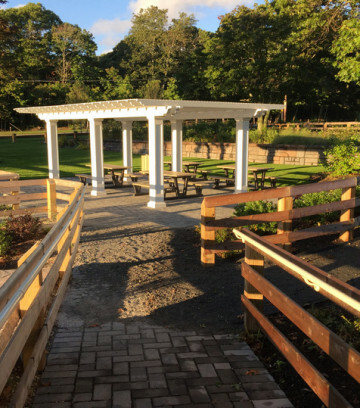 In addition, the project included extensive landscape architectural design incorporating such elements as sitting areas, brick paver walkways, planters, an irrigation system and decorative lighting. 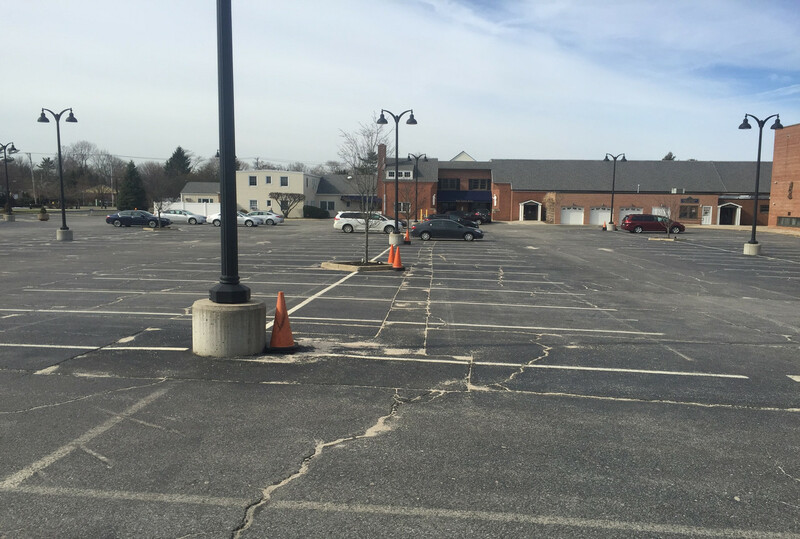 The project also involved coordination with property owners for lease agreements for properties utilized for the parking lot. The initial phase of this project consisted of an engineering study of existing site conditions and preparation of a report identifying conditions that needed to be addressed in conjunction with the repaving of the parking facilities serving the parish Church and school. 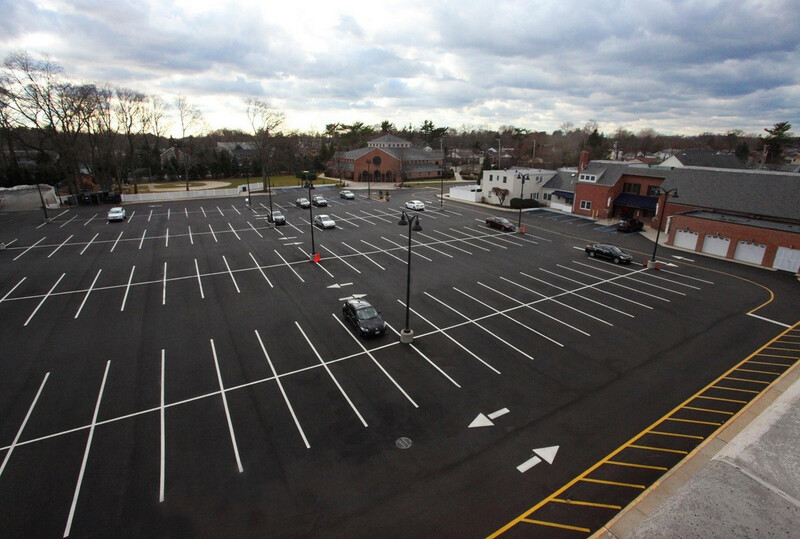 After consultation with the parish, the next phase involved the development of plans and specifications for the rehabilitation of drainage structures, retaining walls and the existing parking lot pavement, along with repairs to parking field lighting, installation of a new gas service, new parking field pavement and pavement markings. LKMA also provided survey, mapping and construction management services for the project to ensure that construction was done in accordance with the plans and specifications. The construction was done in the summer while school was not in session and construction was staged so that impacts on the Sunday Mass schedule and funeral services were minimized. The project involved a feasibility study for the completion of the pedestrian walkway system on the East Campus, which includes the University’s hospital. 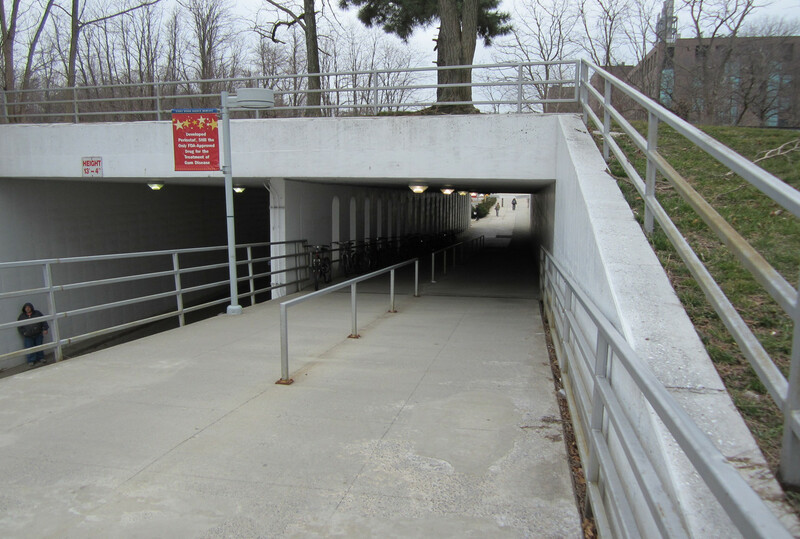 The study included measures to safely route pedestrians and bicyclists through the East Campus, so that they may access the existing tunnel beneath Nicolls Road to travel to the Main Campus. In addition to sidewalk construction, the study involved installation and modification of crosswalks, lighting, landscaping and drainage. Final construction plans and a construction cost estimate were prepared.